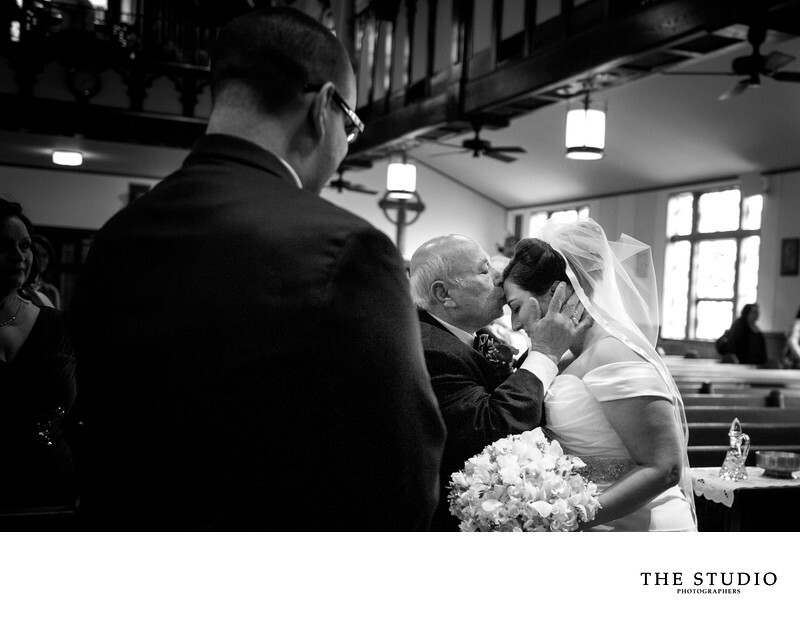 Emotional moments are what make up a New Jersey wedding day. When Michele's dad gave her away, he gave her a loving kiss on the forehead. After that moment, her dad gave Al a big hug. These emotional images make great B&W wedding pictures. After the ceremony, it was off to the Park Savoy for a great party. These photojournalistic moments are what drives the passion we have for photography. I love the fact that this image will never be taken again because it is just a moment in time that I was lucky enough to capture.